﻿ Sambuco exhibits at "HOMI Milano" September 2018. Home > Blog > News > Sambuco exhibits at "HOMI Milano" September 2018. Sambuco exhibits at "HOMI Milano" September 2018. From September 14th to 17th, 2018, Sambuco will exhibit at HOMI Milano, the international lifestyles show. Dealers, buyers, architects, interior designers and visitors can find us at Pavilion/Hall 22 Stand G21. In the most important European fair for home and made in Italy, we will show our “classics” and new collections that follow contemporary stylistic trends… “only handmade in Italy”. At the stand of Ceramiche Sambuco Mario you will find the collections that distinguish our design, decorations with precious metals, gold, platinum and metallic lustres. Ancient art blends with precious materials making each object unique. 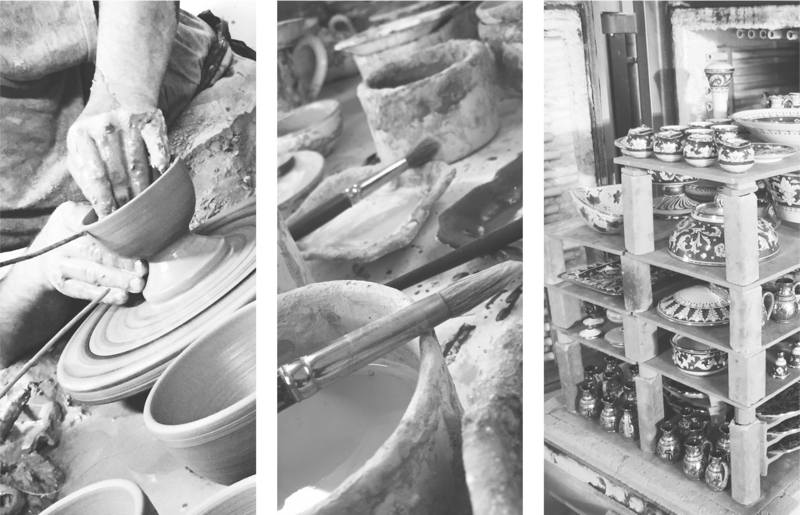 Discover the art of ceramic! The company’s staff will be happy to guide you through the workshop, offering a comprehensive and detailed description about all phases of the ceramic’s handmande working, from the creation of the models to their exit from the kiln. Please, contact us to book the guided visit to the workshop. Sambuco Arte Sacra at Koinè 2019. Sambuco at “HOMI Milano” September 2017... New ideas to be unique! Sambuco at "MarketPlace Day 2017". Sambuco Arte Sacra at Koinè 2017. Sambuco will be present at Umbria Business Matching 2016. Sambuco exhibits at Monte-Carlo, Cafè de Paris.